With baby #3 due any week now, I’m doing a little nesting; not so much baby related but finishing home projects that will make our household function better. One simple project that we completed over the weekend was a “faux” chalkboard wall in the boys’ room. In our last rental we had a few walls that I had painted with chalkboard paint and this time around, I don’t want to bother with repainting anything when we move out. The solution? 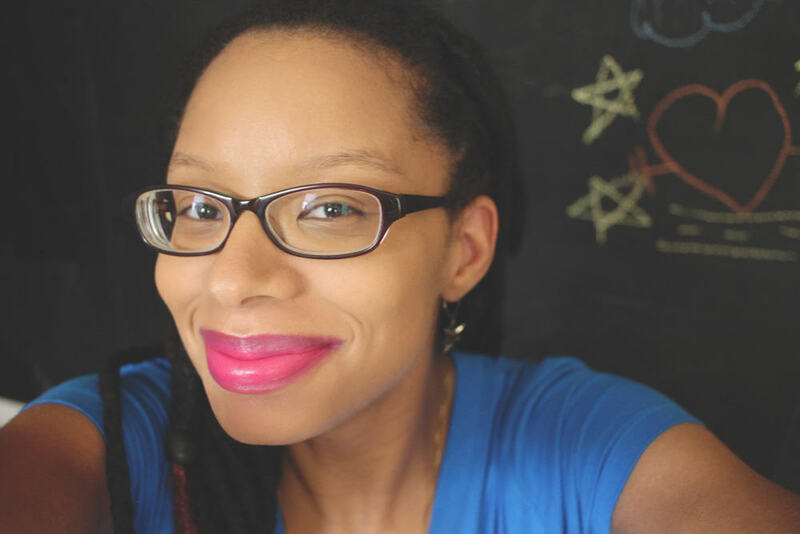 Chalkboard contact liner. It adheres to the wall and removes easily without damaging the wall. Since we are welcoming baby soon, I thought it’d be nice to spruce up the boys’ room a bit to make them feel special. So the chalkboard wall is part of that. As a lifestyle blogger, it’d also serve as the perfect backdrop for photo shoots… especially during the winter when we can’t run outside to shoot outfits. Prep the wall by lightly cleaning it with soap and water. Let it dry completely before applying the contact paper. This will ensure that it adheres properly. While the wall is drying, cut enough strips of chalkboard liner to cover your wall. Once dry, apply liner to walls using your very best bubble smoothing moves. Use an X-acto knife to trim around outlets and any excess around the baseboard and ceiling. Allow for your project to be hijacked by the nearest munchkin. Prime the chalkboard liner with chalk. Scribble. Erase. Repeat. Boom. Your chalkboard wall will have more of a matte finish the more you draw and erase on it. I hope you enjoyed this simple DIY project. As always, if you decide to try it, feel free to tag me so I can see! Now that our chalkboard wall is complete, I feel much better about baby’s arrival. This wall will make my life so much easier as I shoot family photos and blog content. And of course the boys now have a little something extra to keep them occupied. Whether welcoming a new baby or entering a new season, I always find that cleaning or completing a project helps with the transition just like cleaning a wound before applying an ointment and bandage leads to better healing. Puracyn® Plus offers skin cleansers that are designed to improve the most essential part of the wound treatment process – preparation of the wound bed – a clean start for the best finish. Puracyn® Plus products are non-stinging, non-irritating, and free of antibiotics, steroids, and alcohol, and completely safe for use virtually anywhere on the body (even the eyes, ears and mouth!). Both Puracyn® Plus Duo-Care Wound & Skin Cleanser and Puracyn® Plus Foot Wash & Skin Cleanser products are designed with a pH balanced, hypochlorous solution that is non-irritating, non-toxic, steroid free, and won’t stick to bandages. Puracyn® Plus products are available at Rite Aid and Walgreens ($3 coupon). 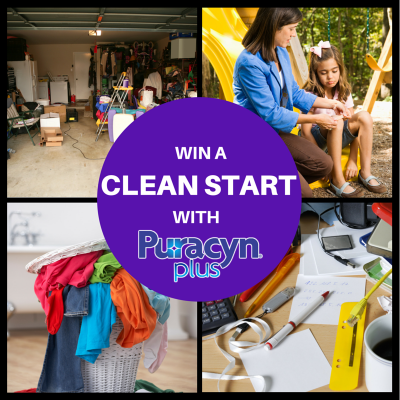 Be sure to enter the Puracyn Plus Clean Start Giveaway for the chance to win a $250 retailer gift card (choice of Home Depot, California Closets, Pier 1 Imports, or Staples) and Puracyn® Plus product, so you can get a clean start on a project for the best finish! For more clean start tips for the best finish, visit Puracyn Plus on the web at www.puracynplus.com and LIKE the brand on Facebook. Watch the new Puracyn Plus 2015 National TV Commercial here.